Ant Financial has released a new version of its Alipay app for iOS and Android, adding new Friends and Merchants tabs that provide support for peer-to-peer payments and for Koubei, the US$1bn mobile commerce joint venture between Ant Financial and Alibaba that was announced last month. Alipay now has over 400m annual active users, with 80% of those being mobile users, Ant Financial says. “Merchants and Friends are the two new primary tabs featured in the Alipay app,” the company explains. “The new functions aim to provide comprehensive local services, including recommendations and discount information, among users, while they can share their likes and messages with their friends. “The Merchants tab is the first entry access point for Koubei; users can locate their choices of restaurants and shops in the Merchants tab by their nearest locations and by recommendations. Restaurants and shops can promote their discounts and e-coupons to attract users. “The Friends tab has many functions attached, including an instant money transfer button, allowing users to pay each other, and an IOU tab allowing users to keep track of friendly loans,” the company adds. “Alipay is now supporting utility bill payment in more than 380 cities in China and a variety of public services in more than 40 cities. 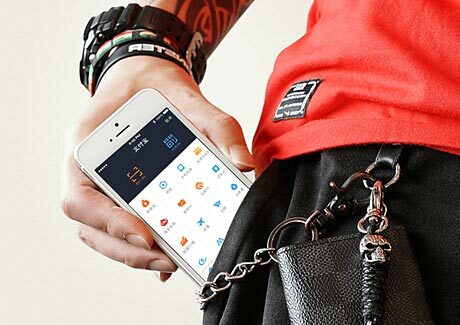 “The new Alipay app is no longer a wallet,” says Fan Zhiming, president of Ant Financial’s payment business unit. “It is a platform which will change the way you shop, the way you spend and the way you manage your finances. It is not just another app, it is the super app tailored for every individual consumer.